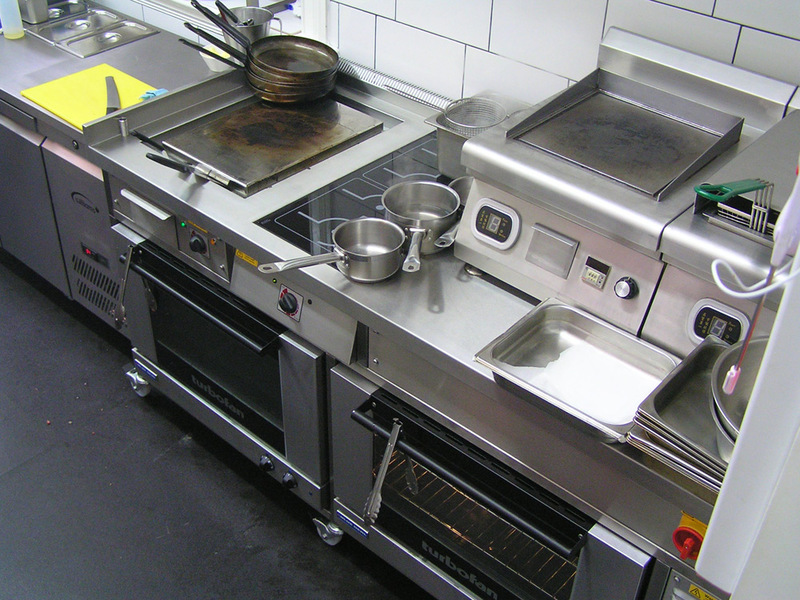 A Target induction cooking system now takes pride of place in The Pickled Piglet restaurant kitchen after Chef Patron, Mark Rafferty kicked out his old electric radiant plate cooker and replaced it with a bespoke induction range cooker. 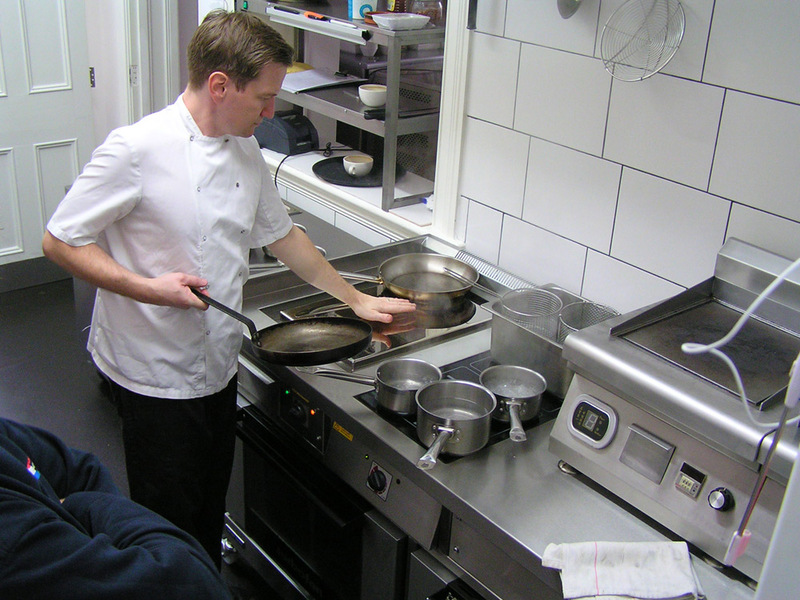 With the old radiant plate range consuming vast amounts of electricity and producing lots of heat, which made the kitchen intolerably hot to work in, Mark decided that the best way to cure the problem was with an energy efficient induction cooking system. With the help of Target Catering Equipment, Mark designed his own induction cooking suite to optimise all the available space within his kitchen. Target's slide top induction, with a single, variable control knob, reproduces the gas and electric radiant plate solid top style of cooking with a graduated heat induction cooking surface. The Target plancha grill also allows for extra high temperature cooking without the need for pans, this saves on the washing up and the need for extra pans during busy service. By incorporating two Blue Seal drop down door ovens, with simple to use thermostatic control, manual timers and contra rotating fans for even oven temperatures, underneath the induction cooktop. Mark now has a seamless, powerful induction range which is not only energy efficient but also easy to clean. For further information about Target's bespoke induction ranges please call 01452 410447.